Are you looking for a good dip? Have you run out of ideas for a delicious sauce to go with your appetizers or party snacks? This article contains some of the greatest Chinese dipping sauce recipes from which you’ll hopefully find something ideal for your needs. All the dipping sauce recipes in this article are simple and quick to make. You can also make them ahead and store in a dry and clean container for a few days. Chili oil makes an excellent accompaniment to noodles and dumpling dishes, and is the secret ingredient in many popular Sichuan dishes such as Bang Bang Chicken. To make the chili oil even hotter, increase the chili peppers or lower the amount of oil to 1/3 cup. As with most dipping sauces, this tastes best if the flavours are allowed to blend for 1 hour before serving. This sauce is great for deep fried food and even chicken wings. Hot Mustard has a sharp bite that goes great with egg rolls and other fried appetizers. This is a basic recipe showing how to make hot mustard dip; feel free to enhance it with sugar and other seasonings as desired. Adding vinegar keeps the heat in this recipe for hot mustard. Feel free to spice it up further by adding other seasonings such as chili powder or horseradish at the same time as the vinegar. For a basic recipe without any extras, try this Hot Mustard. Sichuan peppercorn oil is one of my favourite Chinese sauces. The flavour in this popular seasoning comes from aromatic Sichuan peppercorns. Use it to add some zing to stir-fry dishes, dipping sauces or wherever your imagination takes you! This recipe for hot chili oil yields about ½ cup. Olive oil can be used instead of peanut or vegetable oil in the recipe, but make sure it has a high enough smoke point. With just 6 ingredients and 5 minutes, you can make this quick and easy peanut sauce. It makes a good dressing over a crisp vegetable salad, such as Indonesian Gado Gado Salad, and can be used as a dipping sauce for satays and appetizers. For a thinner salad dressing, just add a bit more coconut milk or chicken broth. To thicken, let the sauce sit and cool before using. This article contains 5 different kinds of Chinese potsticker dipping sauce recipes. You can choose any one you like to serve with your potstickers. 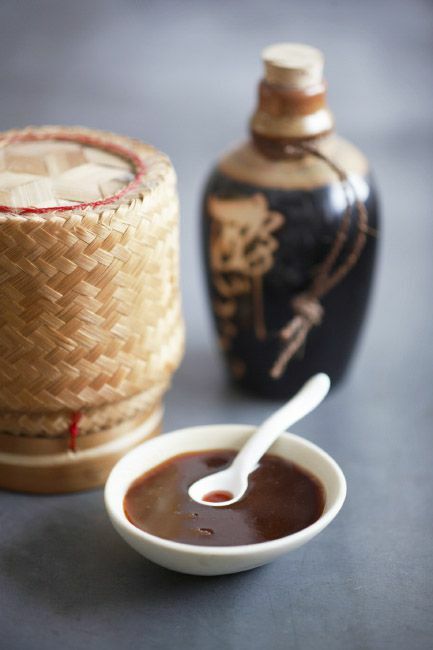 Delicious Soy and ginger sauce recipe goes really well with your dumplings, Xiaolongbao and beef soup. This article contains three different recipes to prepare different kinds of sweet and sour sauce. I personally love Shanghai style sweet and sour sauce but ketchup based sweet and sour sauce goes really well with seafood, such as fish fillet. This recipe is designed for use with vegetarian sweet and sour spareribs which already has cornstarch and water added as a thickener. If you are preparing this recipe as a dip, add a cornstarch / water mixture as desired to thicken.